We call them visual aids. We build, compile, research, design and tweak them for more hours than we will ever admit. We support our points with dense data, trying to answer every question. Fill every square inch of screen real estate with information. So, why does the presentation fail? Why do so many visuals hurt rather than aid us. In a nutshell, if your intention is to inform, engage or inspire action, overloading a presentation is ineffective and unproductive. It drains the audience and dulls the speaker. 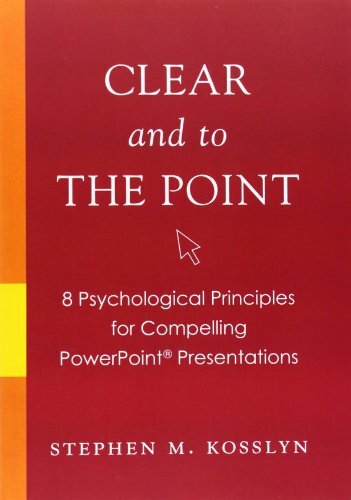 Begin with the end in mind – Devote some time to completing this phrase: "At the end of this presentation, I want my audience to…" – With this process you define your objective and your audience, your purpose and your desired outcome. Collect and select your ideas, data and evidence – Relevance is key. Every piece of information should answer two questions: Does it support my objective? and Will my audience find it compelling? Remember that compelling is a measure of interest and understanding, not necessarily agreement. Outline your presentation – Literally write the order of your presentation step by step. We recommend beginning with a grabber: a story, quote or number that engages the audience and grabs their attention from the beginning. This should take a maximum of 20 minutes. Present the outline to a colleague (or spouse) who is unfamiliar with the topic – We are often too close to our material. Remember you are not your own audience. Nothing is obvious. Subjecting your message to an early, knowledgeable and honest audience will help you edit. Edit – Select advice from your test audience and ask: Does it support my objective? and Will my audience find it compelling? again. Storyboard – I like a good pen and a stack of post-its. I don't lose time erasing and I can reorder things, if I need to. Find the clearest way to illustrate your point using text, graphs and images. Remember that pictures are powerful and easy to remember. Use them to illuminate, not simply adorn. Garr Reynolds' Presentation Zen has a wonderful article about Storyboarding. Make a digital version or two – There's a difference between a presentation deliver and one that you email. Your in-person audience has you to deliver it. When you deliver in person, you are the main point of contact between your message and your audience. When you email a presentation, that role is usually taken over by your document. The emailed presentation could allow more information, whether on the slide, in the notes or through hyperlinks that lead to appendices. Here's a nice article that shows how to turn slideuments into visual aids. In the words of the late, great designer Massimo Vignelli, make it semantically correct, syntactically consistent, pragmatically understandable, visually powerful, intellectually elegant and of course, timeless – your audiences deserve it.